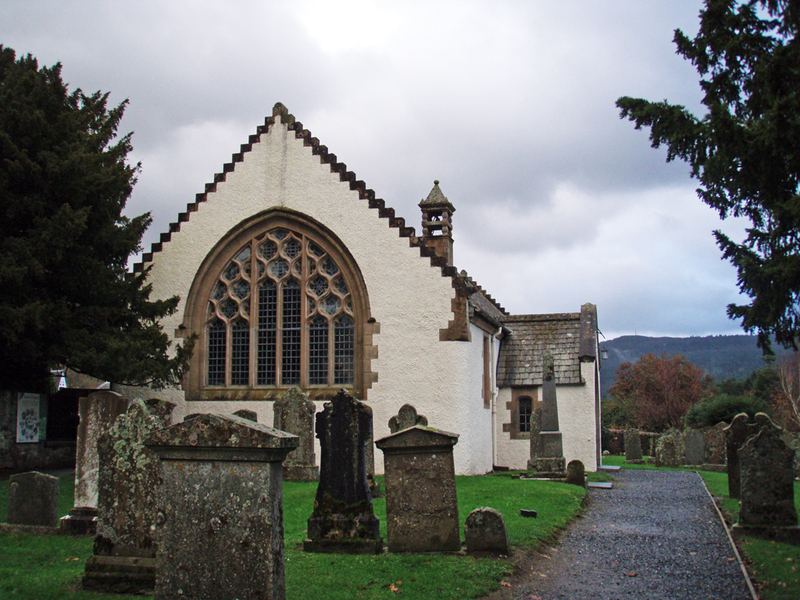 Fortingall is a village and also a parish in Perthshire, Scotland. 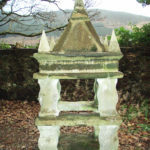 It is located south of Kinloch Rannoch where my MacGregor ancestors lived in the early 1800s and probably earlier as well. 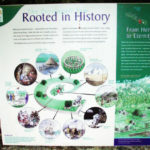 The village is famous for its ancient yew tree which is estimated to be about 5,000 years old – older than the Pyramids of Egypt and older than Stonehenge. 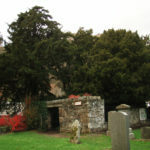 The village is also reputed to be the birthplace of Pontius Pilate, who condemned Jesus to death. 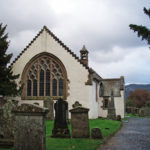 My MacGregor ancestors lived in this parish, but were located North over the hills in the next valley, at Kinloch Rannoch and Killichonan. 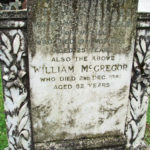 The graveyard of the old church has many MacGregor graves. 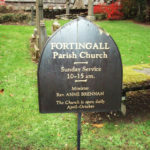 Map of Fortingall area. 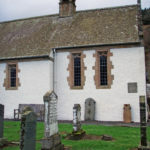 Red dot at upper right is Fortingall. 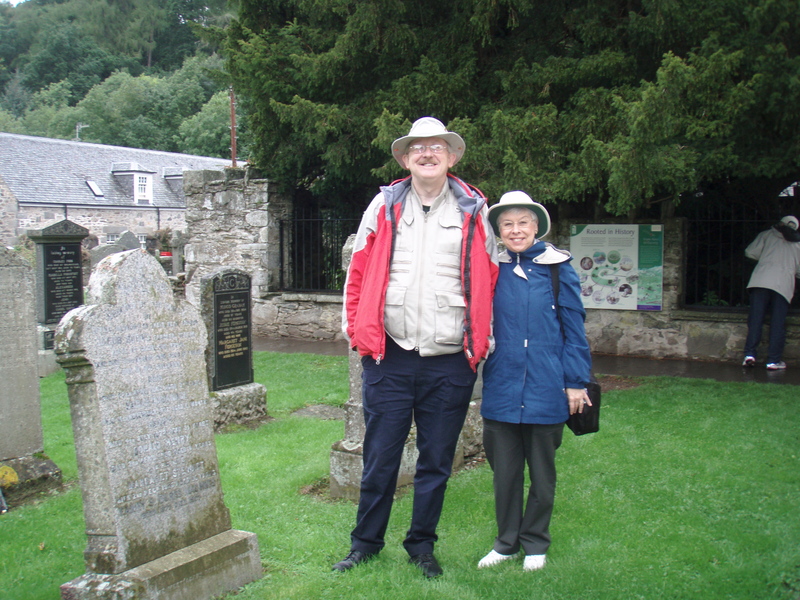 Glen Lyon is to the left. 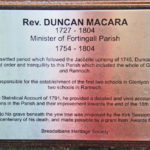 Donald McGrigor son to Malcum & Cathrine Menzies 1783. 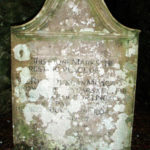 Tombstone in Fortingall Churchyard. Photo by CMS. 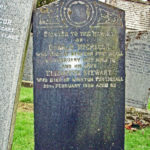 Tombstone of Donald McGregor died 1881 . Photo by CMS. 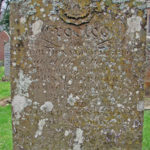 Erected by Donald MacGregor late of the 33rd Regiment in memory of his parents John MacGregor 17th August 1798 Aged 51 (?) 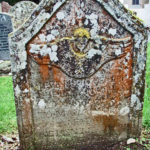 years and wife Flora MacNaughton who died 13th March 1832 Aged 83 years. 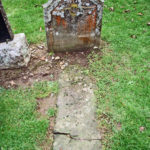 … GEORGE DRYSDALE d 1842? 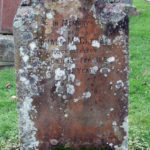 JANET McGREGOR HIS SPOUSE d 1830?